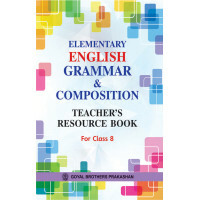 This book has been designed strictly according to the latest pattern of examination prescribed by the CBSE for Class 12, to help the students become familiar with the latest pattern and make them prepare for the exams thoroughly. A brief Introduction of the author. An Introduction to the novel. The entire text is unabridged. Page-wise meaning of difficult words, phrases and expressions. Illustrations have been added to make the novel alive. Chapter-wise summary of the text for quick recapitulation. Chapter-wise text-based-questions on plot and incidents involving interpretation and inference. Chapter-wise questions based on characters. Long questions based on the whole novel based on theme, incidents and characters.